The Dina Friedman Academy is committed to bringing to you revolutionary information that will impact the quality of your life in the area of your choice. Enhancing your well-being is at the heart of every course being offered. Join us today and acquire the tools to master your destiny. The Mastery Program has already transformed the lives of over 3,000 women. 6,000 women worldwide are enjoying the benefits of this comprehensive parenting program. Discover for yourself the formula to a successful and enjoyable parenting experience. Manifest your dreams - a step by step guide to achieve your life goals. REGISTRATION OPEN. SIGN UP TODAY! Hi and welcome to the Dina Friedman Academy. It’s a true honor for me to have you visit today as I share with you a little about myself and my vision for the Academy and how it can impact you. My home has become a more loving and spiritual place to be. There is a lot less friction and fighting, and so much more understanding between us. I cannot overemphasize how rewarding this course has been, and how it has changed my life. I highly recommend that every mother grab the opportunity to take this course, as it is a true gift that you and your children will benefit from for years to come! Over the past 2 years, my life and the lives of my ten children have been completely transformed, redefined, and reinvented by taking Chanoch L’naar. The manner in which Dina guides and accompanies us through our own personal parenting journey is truly remarkable. She shares her own experiences with us as an equal, with all the candor and camaraderie of an older sister over a warm cup of coffee. Her parenting methodology is well thought-out and easily understood. Since taking the course, my life will never be the same! I have tried other chinuch programs, but Chanoch L’naar is the most comprehensive of them all. Dina presents the issues as though she has been standing in my kitchen! Her explanations are clear, using step-by-step guidance. I took this course when my oldest was 5, and now that he is becoming a teen, I see how I really know how to handle what comes my way, thanks to this program. I took Chanoch L’naar 5 years ago, and looking back I see how much it changed me, and transformed my home. The biggest advantage was the confidence I got in my parenting. I can stay calm in every situation, no matter the challenge, because I have so many different ideas and techniques to deal with what comes up. Thank you Dina! The Chanoch L’naar program not only exceeded my expectations, it changed me as a Jewish woman, mother and wife. It provided me with direction, guidance, information, awareness of myself, and has enriched my life in a way that can only be described as life-altering! I find that I’m constantly drawing from the vast amount of knowledge that I’ve gained over this amazing year. 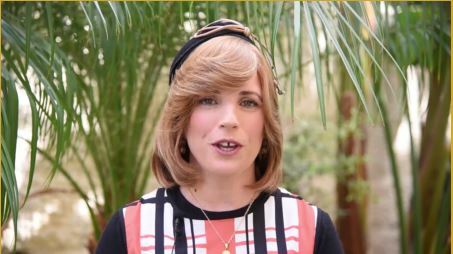 Whether it’s the way I’m dealing with a child going through a stage, or the way I can now connect with Hashem, these methods have enhanced my everyday life. Thank you Dina! Looking forward to taking your other courses! When I started Mastery, I was skeptical that anything could help my marriage. We had already been in private marriage counseling for years. Following the practical guidance in the marriage section has completely turned our marriage around. Now, my marriage has become a relationship where I can trust and respect my husband and feel so supported by him. I wish that everyone would know the power that this program holds to bring light and joy into their relationships. The Mastery program has helped me clarify my goals and mission in life and stay focused on them. It has helped balance me through the challenges this year, whereas in the past I would have been totally thrown off. I feel I can come to H-shem this Rosh Hashana and say-this year I have made real changes. I come from a strong, supportive background and my life was going well, so wasn’t sure that the Mastery program was right for me. Now, looking back at my year of growth, I truly see how the perspectives and hashkafos that I was introduced to, and the techniques that I was empowered to try, brought new meaning and fulfillment to my life. For this I am forever grateful. Dina has a way of getting such inspiring information to you in a realistic and very interesting style. My life is so much richer and happier now. I am full of love for myself, my children, my spouse, and yes, even my nasty neighbor. I have gained so much that I would do it again and again and again. Mastery has given me life altering perspectives, and breathed new life into my soul. My life is now full of peace, purpose, and energy. Dina, I cannot thank you enough for being the shaliach for all my growth this year. Mastery has enabled me to create for myself a life of more ease, pleasure, and expansion, internally and externally. Many of my dreams have materialized without putting in much effort. Our income is constantly growing to meet our families ever-expanding needs! With the help of Mastery and much siyata dishmaya, I have successfully healed from anxiety and depression after years of struggle. I am accepting of myself and others. Relationships that used to be draining have turned around to now be pleasant and easy. Mastery has helped me and my loved ones in ways I never thought possible! My life will never be the same now that I’ve taken Mastery. I feel like I’ve been reborn. I’ve gained powerful tools and practical techniques to overcome challenges. I have certainty about my mission and purpose in this world, and I am filled with gratitude each and every day. I gained confidence, certainty, clarity, vitality, gratitude and most importantly love. I strongly recommend this program for anyone who wants to experience all the goodness that H-shem has for each and every one of us! I used to be an emotional roller coaster - ups and downs, good moods and bad moods. With the tools from the program, I have learned to be balanced, calm, to control my emotions, and to surrender to the Will of Hashem. Dina takes very deep and seemingly difficult concepts, and breaks them down into manageable, doable steps. The Mastery Program is a gift beyond my expectations and it can be yours too!